The Meigs County Commissioners recognized 100 years of Racine Southern Basketball with a proclamation during Thursday’s meeting. Pictured are (front, from left) Commissioner Tim Ihle, Southern Athletic Director and former coach Carl Wolfe, Southern Board of Education President Denny Evans, (back, from left) Commissioner Randy Smith, Southern High School Principal Daniel Otto, and Commissioner Mike Bartrum. POMEROY — Hitting the century mark is a rare occurrence and is something to be celebrated. On Friday, Dec. 8, the Racine Southern Tornado Basketball Program will celebrate the beginning of its 100th year. On Thursday, the Meigs County Commissioners issued a proclamation, which will be read at the Dec. 8 celebration, to recognize “100 years of winning basketball” at Racine Southern. The basketball team in Racine began in the fall of 1918 with its beginnings on the old dirt court outside the old Racine Elementary. The team then moved indoors to the Racine Livery Stables. “Racine High School started its winning ways back in 1918 when the very first team claimed a 6-1 record,” stated information provided by Athletic Director Carl Wolfe. It was not until 1929 when the team moved indoors full-time at the Racine-Sutton High School. Midway through the 1961-62 season the team moved in to the first Southern High School and Charles W. Hayman Gymnasium. It was the 2013-14 season when the team began play in the new Southern High School. Over its 100 years, Racine Southern basketball has had 29 coaches, while earning 1,383 total wins. The 1,383 wins places Racine Southern at number 14 all time in the OHSAA record books for total victories. “Although the ‘Racine’ in Racine High School served as the namesake for the Tornadoes for nearly half a century, the district transformed into the Southern district in the early 1960ss where the winning basketball tradition continued as Racine-Southern Despite carrying Racine as the dateline and hometown, Southern basketball has built its own community of dedicated fans. Southern’s fan base thrives on a culture of having its teams win; winning on the premises of sportsmanship, dedication, team work, hustle and pride,” states the program information for the celebration. “Hard work, giving 110 percent and over-coming adversity” are part of being a “Hustling Tornado” basketball player. Four of the team’s 29 coaches have spent 10 or more years at the helm of the Tornadoes — Charles Hayman, Carl Wolfe, Howie Caldwell and Jeff Caldwell. Of those, Hayman has 217 wins, Wolfe 213, Howie Caldwell 183, and Jeff Caldwell 132. In addition to the milestone of 1,383 wins (and counting), Southern basketball has made three state tournament appearances, won 14 league championships, 27 sectional championships, eight district championships, three regional championships and 26 of the 40 Meigs County Tournaments. Wolfe spoke of the community pride in the Racine area, as well as the support for the fans even at the road games. A former player for the Tornadoes, former coach and current athletic director, Wolfe said he was proud to be part of the Southern basketball history as well as the celebration. The Dec. 8 celebration at Southern High School will take place between the junior varsity and varsity basketball games as the team hosts South Gallia in the home opener. 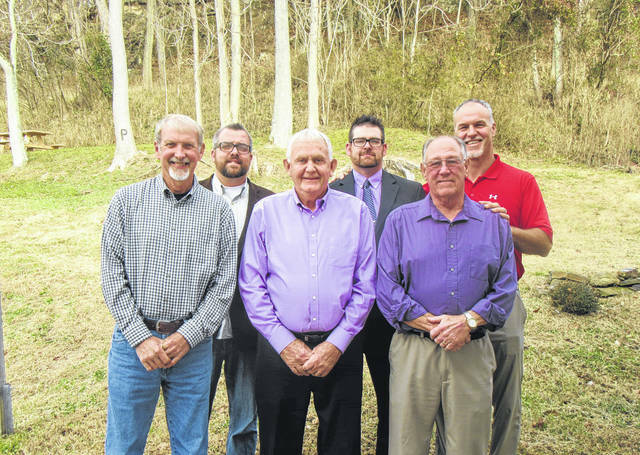 https://www.mydailysentinel.com/wp-content/uploads/sites/14/2017/11/web1_11.30-Southern-Basketball2017113015059232.jpgThe Meigs County Commissioners recognized 100 years of Racine Southern Basketball with a proclamation during Thursday’s meeting. Pictured are (front, from left) Commissioner Tim Ihle, Southern Athletic Director and former coach Carl Wolfe, Southern Board of Education President Denny Evans, (back, from left) Commissioner Randy Smith, Southern High School Principal Daniel Otto, and Commissioner Mike Bartrum.